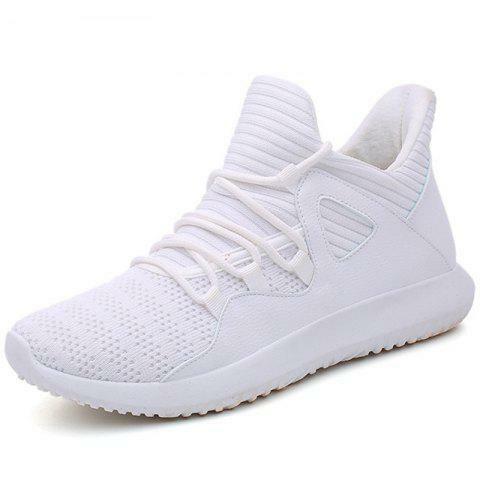 This is a pair of men fashionable lightweight solid leisure sports shoes. Made of mesh + PU upper and rubber outsole material, wear-resisting. Fashionable style looks cool and attractive. Wear it with jeans and hoodie. Fit young persons.